If you bathroom needs a professional cleaning please do not hesitate to call us right away. 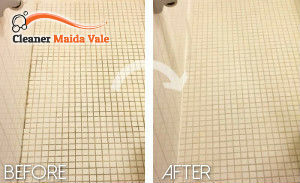 Our company is the best cleaning services provider in Maida Vale and we will come to the rescue. We are offering you to hire our one-of-a-kind bathroom cleaning service and our unmatched cleaners. What you will get from us will be a top quality cleaning service for a very economical price. Call us and see for yourself. If you choose our company and our bathroom cleaning service, you will not be sorry. We guarantee you 100% efficient and very satisfactory results. Our cleaners are trained to deal with any kind of cleaning problem a bathroom could have. They use strong cleaning products that are guaranteed to take care of your problems and leave you long lasting results. 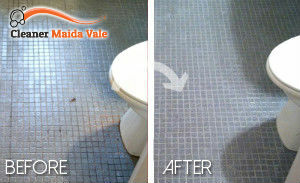 Our cleaners will scrub floor and wall tiles. They will de-lime and de-scale the bathtub. They will vacuum and mop the floors. Clean and shine the mirror. They will clean and sanitise the sink and the toilet. They will remove cobwebs, and clean your windows internally. Our cleaners can even take care of mould, if you have any. Our cleaners will shine your bathroom surfaces and take out the trash when they leave. You can count on a clean and healthier bathroom when they are done with it. Hurry up and contact our phone assistants as soon as possible and make an appointment. You can hire our cleaners for regular cleaning sessions so that you are sure that your bathroom is always at its best state and is germ-free.